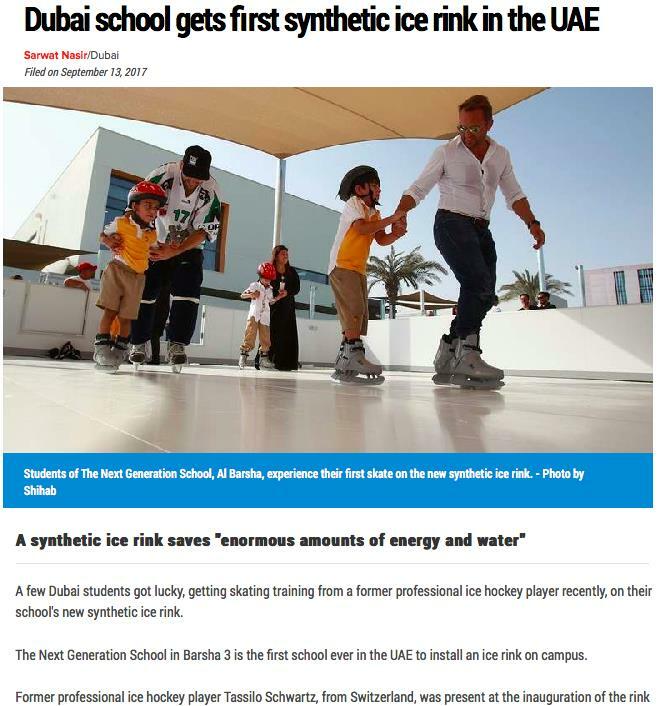 Stop by Our Glice® Synthetic Ice Rink at the Main Entrance of MESE Exhibition in Dubai! MESE, the Middle East Special Event & Exhibition Show is the largest of its kind in the entire region. This year, our local representative Desert Snow will showcase a Glice® synthetic ice rink right at the main entrance! Stop by and try out our synthetic ice to see why it is the preferred choice of industry experts!